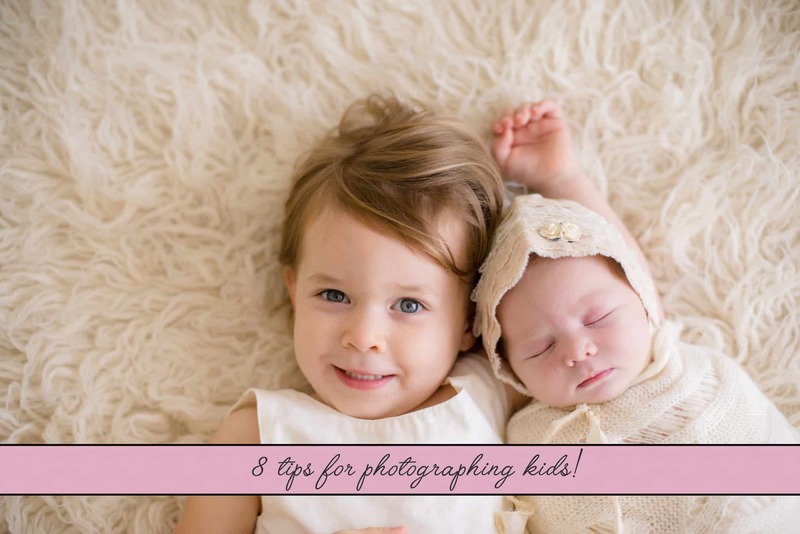 8 Tips for Photographing Kids! Photographing children can be hilarious and meaningful. Other times it can be like trying to bottle feed an angry octopus. It takes patience, skill and a bit of creativity. Here are some tips and tricks to capturing the moment….as quickly as possible. Plan out the areas in which you want to shoot the pictures and any props / outfits that go with each setting. Keep in mind the more location and costume changes you have the shorter the attention span and happiness factor you’ll have to work with. If there are certain poses the parents specifically want to try, jot down a list before you get started so you don’t have to back track. The goal is get all shots knocked out as fast as possible before the miniature natives get restless. Definitely plan ahead with the parents for the ideal time to take pictures. This is either just after nap time (or sometimes during), just after feeding etc. That way the kid or kiddies are well rested and excited and not on the verge of a meltdown before you even get started. Enlist help from the parents or friends to stage the little models and their props while you adjust your settings. Test your settings on some preliminary shots of the staging, which sometimes ends up being some of the greatest candid shots. Make sure your helpers don’t use all their tricks for laughter during this phase though; you’ll want their help getting the kiddies to smile in the next step. Once you have the settings set up and the tripod in place (if applicable) you are ready to start taking the actual shots. Quiet on the set! Hah, right! Depending on the age of the subjects, the photo shoot will probably be chaotic. At first there will be some genuinely concerned expression, then maybe some laughter, then as time goes on the boredom sets in and the giggles of joy evolve into Pterodactylus battle cries. Make sure you have a plethora of props, funny noises / faces and anything else at the ready so you can distract and entertain the kids long enough to capture a handful of shots. Keep snapping away though because some of the best shots are not ones you wrote down for step 1. Sibling shots are even better than solo shots because you get to capture two very different personalities all at once. These can be tricky though because the temperament of two children often conflict and one or the other will probably stop smiling and will start to give you the evil death stare. Miracles do happen every once in a while though…. Suggest that the parents bring snacks or treats to bribe the babies into behaving (heh alliteration is fun.) I can say from firsthand experience that my niece only smiled for my wedding photo because she had a cheek full of jelly beans. Sometimes the promise of something sweet will work just long enough to get a real smile. After a while the kids will be exhausted. Over-stimulation from having to “smile!” “look over here!” “give that back to your brother” and “say cheeeeese.” It’s enough to wipe out anyone, let alone a new born or toddler. When they’ve had enough its time to call it and reward them with something they want to do. Try to make the experience as short and entertaining as possible so the kids aren’t mortified every time they see someone with a camera. I took monthly pictures for a year when my niece was born and now I’m doing the same for my nephew. It’s a great opportunity to practice your photography skills and spend some quality time with the young lings. …And after the photo shoot, I promise you’ll sleep like a baby! I have lots of old days OUT OF FOCUS PHOTOS how can i fix that. Sadly if the photos was taken out of focus, it will remain out of focus. You could sharpen some of it up in LR or PS, but it will likely only marginally improve it. Good luck! Tips for Taking Better Holiday Photos!